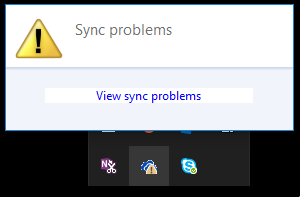 How do I fix OneDrive (for Business) sync issues on Windows 7? Microsoft has a longer-form article on this page but for most people you need to check these options first. If a file you’re trying to sync is too large, or if you’re trying to sync too many items, OneDrive for Business sync might not work. Review the limits for the size and number of files that can be synced, and make sure the files you’re trying to sync don’t fall within the listed restrictions or limitations. What characters should I avoid in naming my files in Office 365 files?